The mine expansion was cancelled in 2012, as metal prices began sinking and costs rising. The Australian government has vowed to help BHP Billiton (ASX, NYSE, LON: BHP), the world’s largest mining company, to go ahead with an estimated $33 billion expansion of its Olympic Dam copper-uranium mine, shelved last year as metal prices sank and costs rose. “I want to ensure that as far as is humanly possible everything that government does is directed towards making it easier, not harder, for this iconic project to go ahead,” Bloomberg quotes Prime Minister Tony Abbott as saying. But South Australian Premier Jay Weatherill is calling Abbot’s comments "a cruel hoax," as he claims to have spoken with BHP management last week and there was no indication of any plans to resume plans on the mine. His state is facing massive job loses as General Motors Co. (GM)’s Holden unit will stop production in 2017 after 69 years, laying off about 2,900 workers in the state and in neighbouring Victoria. “The impracticality and the illusion of that is a bit of an unfair thing to hold in front of those workers right at this moment," Weatherill told the Herald Sun Monday. "We need to work with those businesses which do have the capacity to expand their operations to ensure that they do that more quickly,” he added. 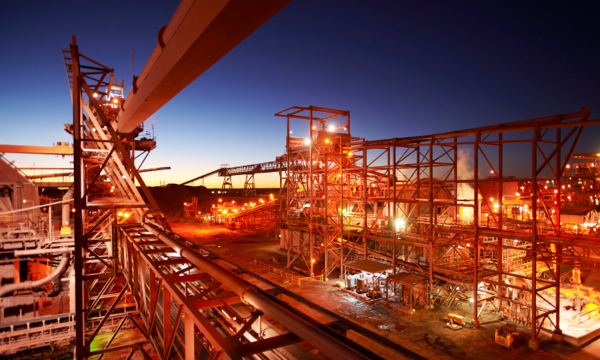 In September, chief executive Andrew Mackenzie said BHP would provide an update on the shelved $30 billion project in 2014, but any expanded mine site at Roxby Downs in South Australia's far north was unlikely without a technological breakthrough. The Olympic Dam, Australia's largest underground mine, currently employs over 3,500 people.